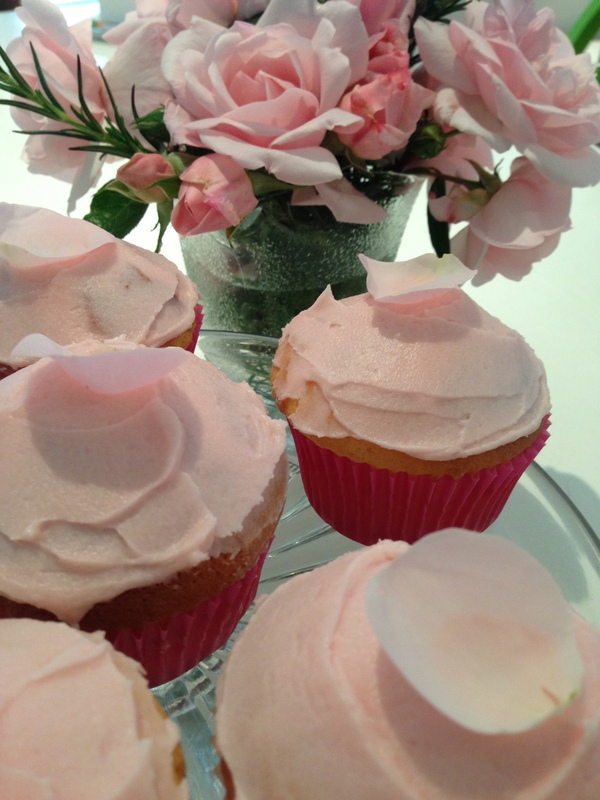 When life gives you roses – make rose petal cakes. We are seriously in danger of disappearing into a cloud of rose petals here, as for some climatic/random reason this season has been a bumper one for rose blooming. Not complaining. They are such perfect specimens to observe and there are only so many vases you can place around the home. Cakes seemed the obvious next choice. If you have the time, rose petals can be dipped or painted with egg white and coated in sugar. Left to dry for an afternoon, they will become frosty little treats to plant on your icing before it sets. If, like me, you are impatient, fresh is fine but best to lay to one side of the plate before plunging in – mouth first. Preheat oven to 180 degrees celsius. Place patty cases into muffin or patty cake tins. Beat the butter and sugar with electric beater until light and creamy. Gradually add flour and milk alternately and mix gently until smooth. Spoon into paper cases and bake for 15-18 minutes until golden on top. Cool on a wire rack. Sift icing sugar and add butter. Beat until smooth. 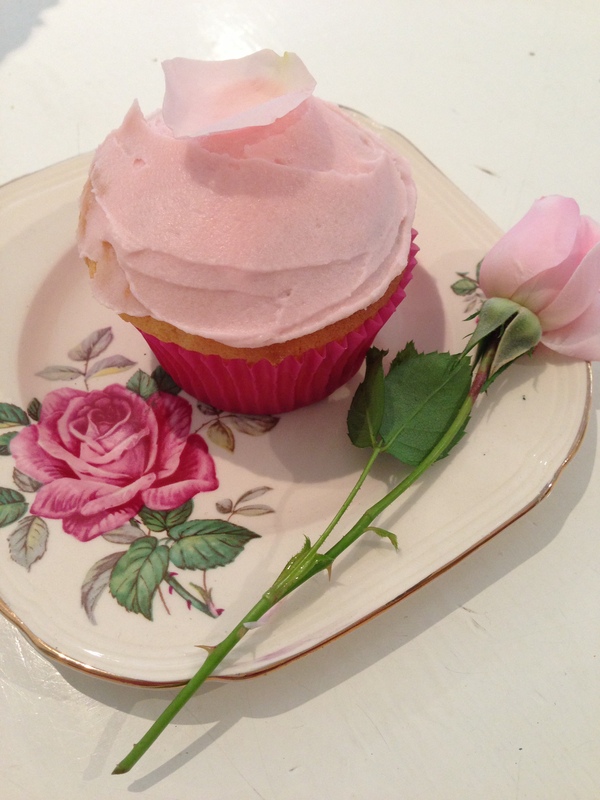 Add the tiniest drop of food coloring for a really soft pink. If the mix is a little stiff, add a few drops of water for spreading consistency. and a gastronomic one too – all gone!